Although there's a good chance that words simply cannot express your immense love for burritos, it looks like now may be the perfect time to give it a try. That's because Chipotle just launched a one-day poetry contest on Tuesday, and the winner gets a year of free burritos. Really. 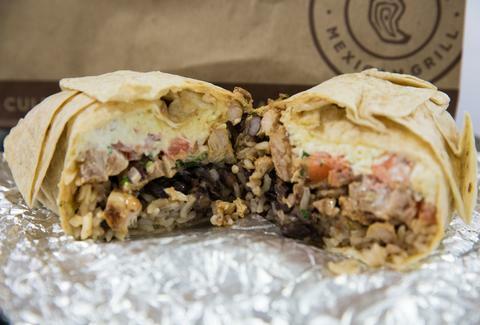 The contest sounds simple enough: all you have to do is write a haiku professing your love for "all things burrito," and post it on Chipotle's Facebook page or via Twitter, according to the company's official contest page. Both the writer whose haiku receives the most likes on Facebook and the writer whose haiku receives the most retweets on Twitter, will win free burritos for a whole year. Chipotle will also award a free burrito date for two to nine people on each social media platform. So, not only will you have to figure out a way to adequately express your love for burritos with mere words, you'll also have to write it in the form of a haiku. In case you skipped that middle school language arts class, a haiku is a brief poem consisting of three lines -- the first line has five syllables, the middle line has seven syllables, and the last line has five syllables -- totaling seventeen syllables. Tony Merevick is Cities News Editor at Thrillist and would need to hire a personal trainer if he won free burritos for a year. Yikes. Send news tips to news@thrillist.com and follow him on Twitter @tonymerevick.